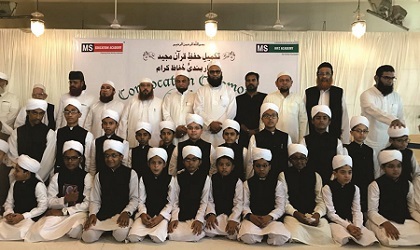 Hyderabad: MS has done a wonderful task by connecting modern education with the holy Quran and this work of MS will be a model for the world to replicate,” said Maulana Mufti Abdul Wahab, director Jamia Noor Ul Huda at the 2nd Convocation of MS Hifz Academy held at Royal Regency Garden, Asifnagar, Mehdipatnam.” Throwing light on the importance of Deeni taleem and Hifz -e- Quran, he said, “In the prevailing environment of batil forces, we need to pay more attention to the tarbiyat of our children. We have to synchronize the modern education with the holy Quran in such a way that our children can protect their belief and faith”. He further said that the Quran came for our guidance and our success lies in the Holy Quran. It was a wonderful moment for the parents of 28 students who have completed hifz-e- Quran in less than 2 years. This year 28 students completed their Hifz between 11 months to 2 years. Out of these 28 Hafiz, 3 Hafiz completed their recitation of the Quran in one sitting. 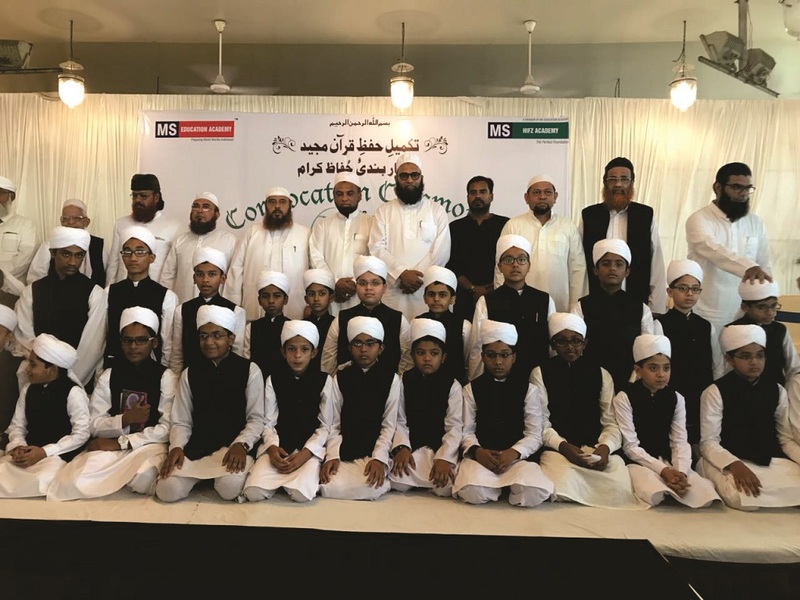 Speaking on the occasion, Chairman Mohammed Abdul Lateef Khan said, “Our children are able to complete the Hifz-e quran within 2 years because of a strict guidelines, which they have to follow during their course of studies”. 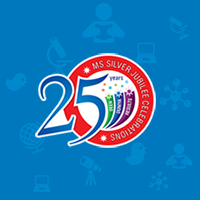 He further said, “we are able achieve this feat because we are following a research based technique in our system which we designed after thoroughly studying the systems of various institutions of the globe. We are also implementing memory development technique in our academy. Last year, we produced 9 Hafiz and this year the number has reached 28 and Insha Allah next year our target is to produce 50 hafiz. He also informed that the girls section of Hifz academy has also been started and currently 21 girls are pursuing the Hifz course and next year onwards Girls dastarbandi will also start. Presenting the annual report of MS Hifz academy Mufti Nayeem said, “This year 28 students completed Hifz-e Quran within 2 years. Among them 3 students recited the whole Quran in one sitting. He said that those students who have passed class 5 are given admission in Hafiz Academy and after completion of their Hifz course they again get admitted in class 7 and thus do not loss their academic year.